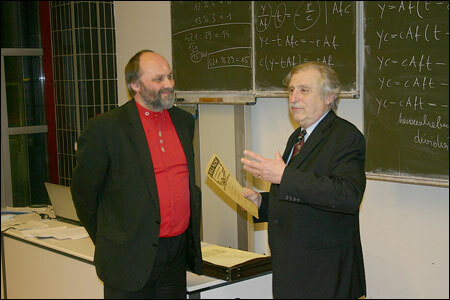 At the General Meeting of the 'Österreichischer Patent- und Erfinderverband' (Austrian Association of Patents and Inventors, OPEV) held on April 4th 2006, Mr. Wilhelm Mohorn, one of the most successful researchers and inventors in Austria, was awarded a certificate of honour for 20 years of membership. The President of the Association Mr. Helmut Jörg thanked Mr. Mohorn for his loyalty, commitment and long period of membership. In his speech Mr. Jörg drew attention to the fact that those who support inventors also make a significant contribution to Austria and its economy. W. Mohorn who has always been keen on serving other inventors and helping them by way of advice and active measures, thanked the Association and ensured Mr. Jörg his support in the future as well. W. Mohorn's successful company Aquapol is a European market leader in the use of space and cosmic energy. More than 32,000 units, mainly driven by apparently inexhaustible cosmic/space energy, are currently in operation. Their purpose is to drain entire buildings - without the use of electric power or batteries! Parts of the parliament building in Budapest, the Haydn museum in Eisenstadt (Austria), the wine cellar of the monastery Klosterneuburg (which was frequently shown on TV) are only a few highlights of the thousands of buildings drained by Aquapol technology. In 1995 Mr. Mohorn was awarded the Kaplan medal for his basic functional research and for putting his invention into practice. 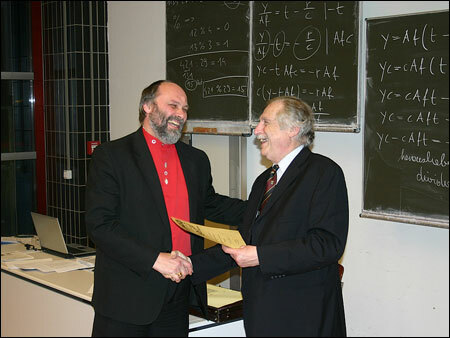 The Kaplan medal is the highest distinction for researchers and inventors in Austria. OPEV is a lobby for innovators, researchers and developers, as well as for owners of patents and utility models. In the last few years it has evolved into a platform that connects the ideas of inventors on the one hand, and the wishes and needs of the economy on the other. Precisely this function is the key to OPEV's success. Copyright 2007 wMohorn.com. All rights reserved.